The best part about working with a travel agent is that they can help save you time and money and plan the totally unique, personalized vacation of your dreams. 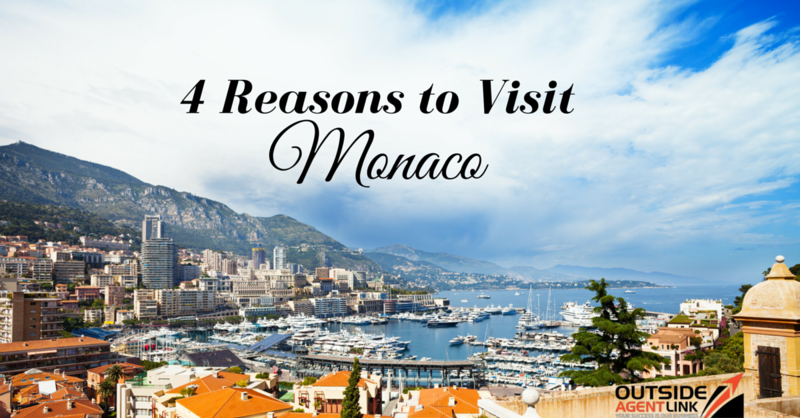 One locale you should add to your travel bucket list is Monaco on the Mediterranean Sea. Monaco’s cuisine takes everything you love about French, Italian, and Northern African cooking and adds a little unique flair to result in some of the best food you’re likely to taste. Being a coastal country, seafood plays a huge role in Monegasque cuisine. Famed chef Alain Ducasse’s restaurant Le Louis XV, one of the best restaurants in the world, also calls Monaco home. Monaco is nestled comfortable on the shores of the Mediterranean Sea, resulting in some of the most beautiful and pristine beaches in the world. In Monte Carlo, you’ll find one of the most glamorous beaches in the world: Larvotto Beach. Much of the beach is free, although there are spots where you’ll have to pay to enter. It’s a very family-friendly beach with lifeguard stands and plenty of places to rent equipment for watersports. Monte Carlo is known for the grand gambling and entertainment complex known as the Casino de Monte-Carlo, which houses a casino, opera house, and ballet company. For race fans, Monaco is famous for its Formula 1 grand prix racing. Being a vacation spot for the rich and famous, Monaco’s shopping options are varied and high quality. You can purchase well-known brands, such as Prada, Hermes, and Christian Dior, or visit the Boutique du Rocher and take home some authentic Monegasque handicrafts. You can also visit the famous Fragonard perfume factory and choose your perfect scent.